Seasoned sports fans have discovered the secret to avoiding Seattle’s crazy traffic, high parking prices and the stress of getting to and from Centurylink or Safeco Field. They chose Park ‘N Fly! That’s because we make it so easy, you can save all your energy for what really matters most, the game. 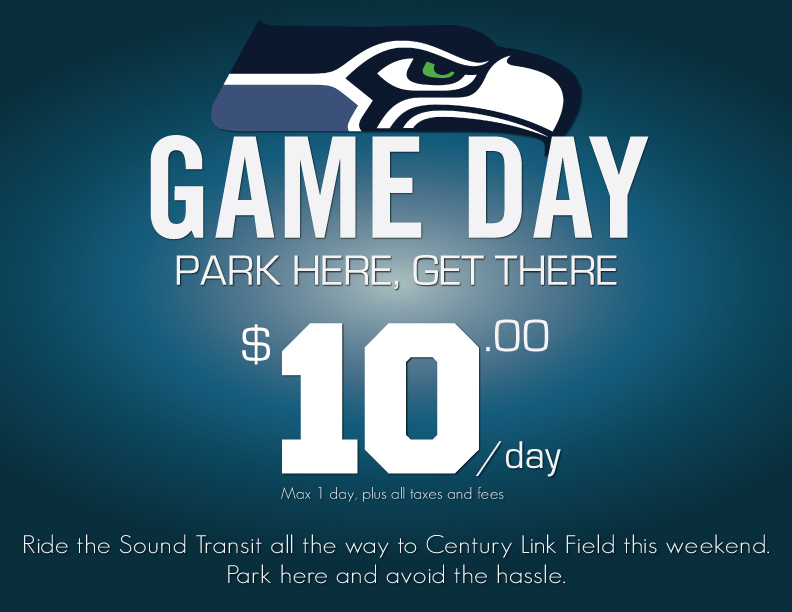 When you arrive at our Seattle Park ‘N Fly Valet lot, you’ll be greeted by our staff who will validate your Game Day Coupon and collect payment. 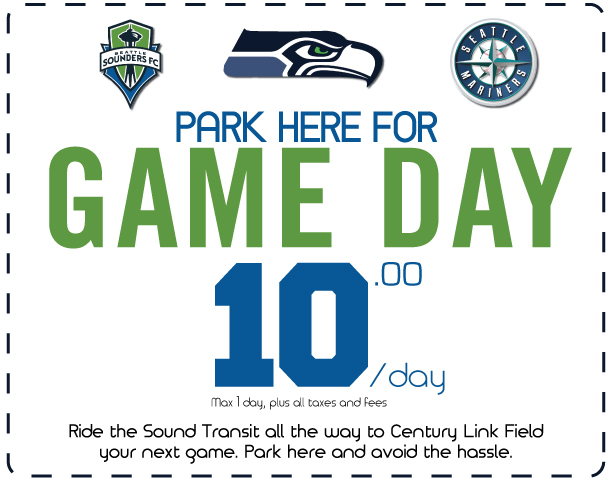 You’ll then walk a few hundred feet to the SeaTac Light Rail Station and ride Sound Transit to Centurylink Field. You won’t waste time searching for a parking, plus we secure your keys while you’re at the game, and have your car ready for you when you return. Reservations are highly recommended. When making your online reservation just use Promo Code “GAMEDAY”. Print the the Game Day Coupon and bring it with you. It’s really that easy!